VIP transfers and cars with driver at your hourly disposal. Our staff is ready to provide you with the best possible service. Passenger transportation with fixed rates in Gothenburg and surrounding areas. PM Logistik offers you boats and coaches on charter for conferences or private excursions. Our company specialises in providing transportation for VIP´s and corporate cab services. We provide it to small as well as large enterprises that demands high quality services, security and discretion. With over 30 years in the business, we are the no 1 preferred choice for this type of service. We have at present 40 drivers with a thorough knowledge of Gothenburg and adjoining areas. They are all trained in handling various kinds of vehicles and in providing safe and secure transportation for their passengers. A number of our drivers have also been given advanced training in all aspects of security, driving as well as passenger protection. All our staff is fluent in Swedish and English and we can also provide drivers speaking German, French, Spanish, Italian, persian and Hungarian. We aim at having a fleet of vehicles no older than 2.5 years. We also cooperate with companies that offers boat charter, helicopter service and an event company. Bookings for all services can be made through our telephone central/booking office or by e-mail. VIP Transportation is a large part of our business. We are experts in providing high quality services, security and discretion. Enjoy the flexibility of our on-demand chauffeur service. It is the ideal choice for business or pleasure. Whatever your needs, our customer-directed hourly disposal service provides you an exclusive service with a personal chauffeur at your disposal, for as long as you require. Our dedicated staff is ready to provide you with the best possible service, fluent in several languages and experts in dealing with the transportation of individuals as well as large groups. Our drivers are all trained in handling various kinds of vehicles and in providing safe and secure transportation for their passengers. A number of our drivers have also been given advanced training in all aspects of security, driving as well as passenger protection. Get in touch with us for an offer based on your particular demands and we will customize our services to your needs! We can offer corporate cab service for companies in Gothenburg and nearby areas with high quality standard. Contact us for for fixed rates for your routes and to have your own online booking login. We can supply you with coaches as well as boat charter, of course with the same high quality service as all our other services. We are very flexible: tell us your needs and we will deliver service with comfort, safety, and high quality. Helicopters and private jets offer a comfortable and time-saving way to travel for people as well as cargo and are an excellent solution when regular air or train time tables do not fit your wishes for various reasons such as train or plane changes that are time-consuming and bothersome. Going by helicopter you also avoid long-distance ground transports from airports or railway stations to your final destination. Our service is fast, efficient and competitively priced. Ask us for a offer. 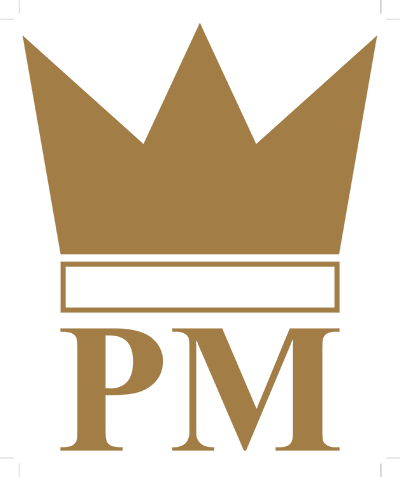 PM Logistik can coordinate and deliver transportation to customer get-togethers, conferences, parties, kick-offs, weddings, and inaugural festivities. We cater to your transportation needs and demands constantly keeping your aims and intentions in mind when forming a suitable mix of transportation means. • We deliver anything from small letters to large packages and cars. Short or long distances – we deliver! • We have two trucks with tail lift and two custom built car trailers that we use for secure and fast transportation of cars or shipments across Europe. Hire our drivers at an hourly rate to drive your own car. Dressed in professional attire, ready to chauffeur you in your vehicle wherever you want to go. Or maybe you need a coordinator on-site for your event to coordinating all transports? If interested, please contact our office for quotation. Our goal is to drive vehicles not older than 2 ½ years. Our fleet consists mainly of Volvo models XC90, S90 and V90. We also have one Porsche Macan, one safety classified Volvo S80 limousine, minivans of different makes and models and more. Click below to see more! We will attend to your questions concerning transports, prices, events, service etc. within 12 hours or as soon as possible.